The English department consists of a close knit team who all teach across the age and ability range. In order to provide support to our students we have a dedicated member of staff for intervention and reading support. We are committed to providing a stimulating and creative curriculum that meets the needs of all students. We encourage students to take an interest in all aspects of English, and run regular theatre trips. Our department has a number of members of staff who mark papers for GCSE examinations, giving us excellent insight into the requirements of the examinations sat by our students. Our students are encouraged to develop and broaden their skills in English and English Literature. Students are given the opportunity to enter national competitions for poetry and speaking and listening; we are delighted that our students have won accolade in both of these areas. In years 7, 8 and 9, students follow a series of departmental learning schemes, although these are adapted by each member of the English team with the needs of their class in mind. We aim to choose lively, engaging and interesting books, with Year 7 studying Abomination, Stone Cold or Lord of the Flies as well as a range of poetry and drama – including Shakespeare; Year 8 students engage with literature such as To Kill a Mockingbird, The Tulip Touch and texts from the Gothic genre; once students reach year 9 they enjoy studying Of Mice and Men and a range of poetry from across time. We believe that taking pleasure in reading is vital for students’ development – not just in English but across the curriculum and beyond. 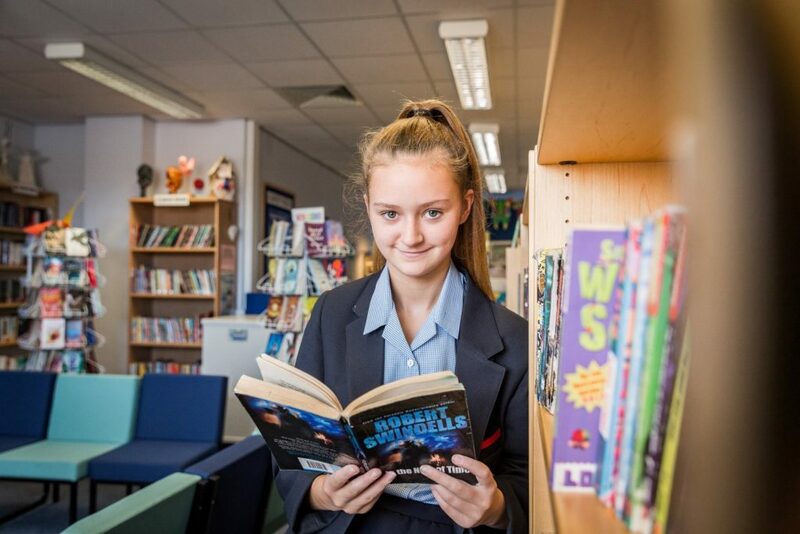 In fact, recent studies show that not only does reading improve students’ GCSE grades and vocabulary – it even improves their emotional intelligence! We therefore build private reading time into the curriculum in Years 7 and 8, building a solid foundation for the future. All students are encouraged to read aloud at home – whether to younger siblings, Mum, Dad or Grandma. Our Learning Resource Base is crammed full of interesting books – and we even have a student ‘book swap’ for those who want to exchange or pass on their own books. All students in year 10 study English Language and Literature GCSE courses. Students engage with a variety of texts, studying either An Inspector Calls or Blood Brothers, and one of the great classics, A Christmas Carol; a Shakespeare play and a range of poetry form part of the Literature GCSE study.